Below is the next “Scratch the Surface” EJ Podcast. 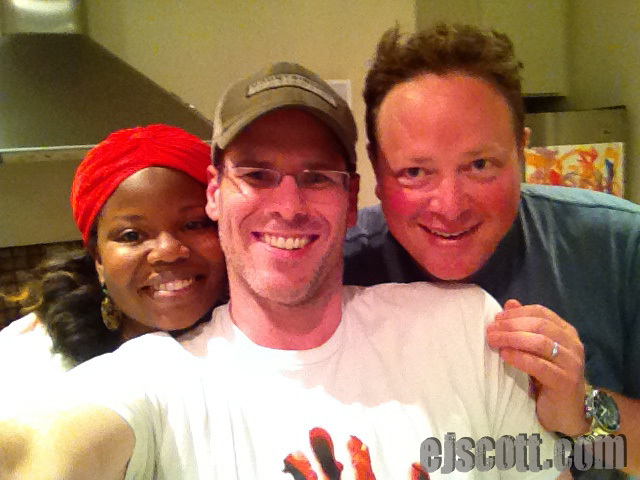 EJ has as his guest today True Blood’s Showrunner, Brian Buckner. Brian “Bucky” Buckner has been a writer on HBO’s True Blood since the show began and served as show runner for almost the last two seasons. plus the final season of True Blood. Please Listen, Please Share, Please Enjoy!! And, be sure to share with your friends on social media or any other way. Sookie and Eric were never a viable couple? He and the writers are even dumber than I thought. The Bill flashbacks were the worst part of all 7 seasons. Your podcasts are great to listen to, EJ, but yikes, this one was horrible to sit through, just because of Buckner. Way to turn a show about celebrating what makes you different into crap about having a husband and a baby. Spent more time talking about Sookie’s faceless nobody husband than Eric/Pam’s relationship which is one of the most important? ARGH.